This is one of the best back-to-school deals yet. Stream unlimited music, TV shows, and movies for less than you’d pay for just Hulu or just Spotify. 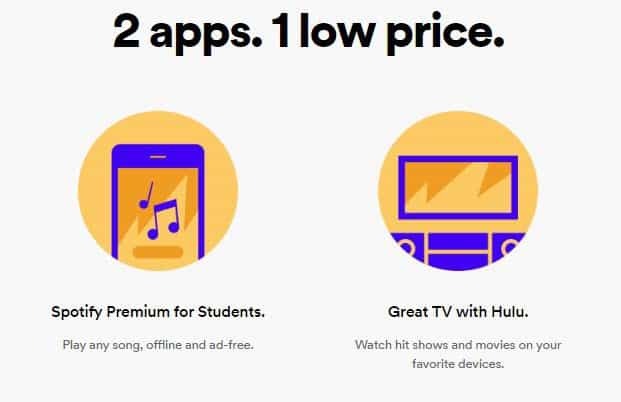 Hulu and Spotify just teamed up for a pretty sweet deal for college students: get both Hulu and Spotify Premium for just $4.99. This is quite an amazing offer, considering $4.99 is less than what you’d pay for both of those services on their own. In fact, I’m thinking about going back to grad school just to take them up on it. If that’s all you needed to hear to want to sign up, hop on over to Spotify Premium for Students with Hulu page now. For more details, read on. 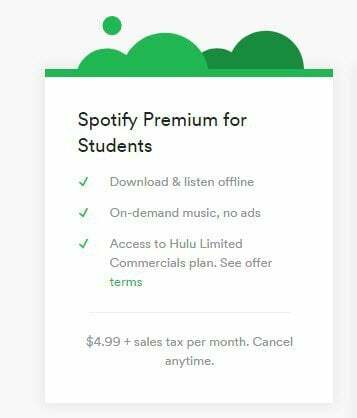 So, here’s the deal: You get Spotify Premium for Students and Hulu’s Limited Commercial Plan for just $4.99 a month. To be eligible, you have to prove that you’re enrolled in a US Title IV accredited college or university and that you’re at least 18 years old. You get that price for as long as you are a student and for up to 12 months after you graduate. So, what does that get you? It looks to me like Spotify Premium for Students is exactly the same as Spotify Premium ($9.99), except cheaper. You get ad-free listening, offline songs, and on-demand music with unlimited skips (you don’t have to shuffle either). 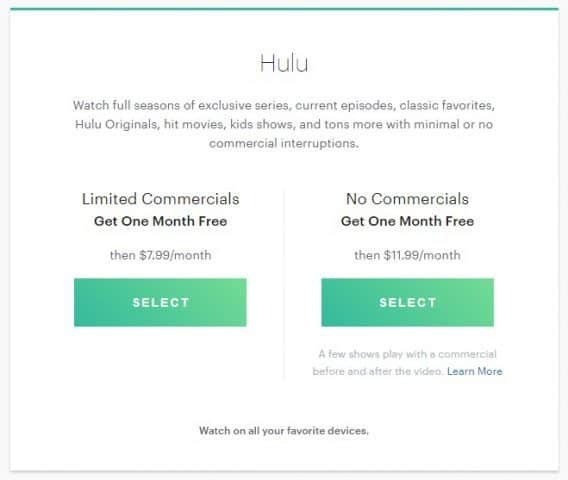 As for the Hulu Limited Commercials plan, it’s exactly what it sounds like: you get Hulu’s on demand streaming service for TV shows and movies but you still have to watch some commercials. Usually that costs $7.99 a month. The No Commercials plan costs $11.99. This plan does not include the Hulu Live TV service. If you’re a student and you’re hooked up to your university or college’s super fast, super generous broadband internet connection, get this deal. As far as deals for college students goes, this one rivals the much-touted Amazon Prime for Students deal. Of course, this is all an evil scheme to get you hooked on the service for life and then keep paying the full price once you graduate. But you’ll be making the big bucks by then anyway, right? Are you signing up for the Spotify and Hulu deal? Tell us why or why not in the comments.